Determining the right mode and pricing for your shipment is made easy with Global Cargo Manager. Your shipments are managed by our experienced Logistics team. Shipment too large for LTL, we help you determine by comparing carrier�s back-haul lanes with true LTL rates. Contact cs@aeslogistics.com for quotes and service questions. 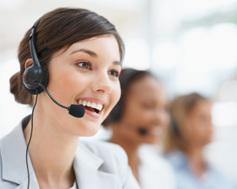 "Need it There Faster" service is GCM's time-definite guaranteed expedited service. 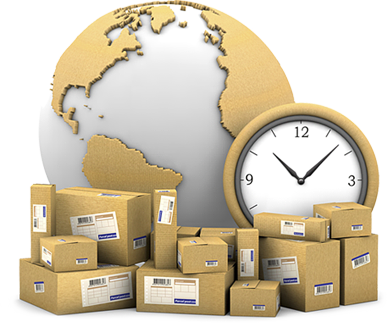 Shipping your urgent orders requires planning and execution 24/7 to insure your goods arrive on time, in good order. When shipping with this service your shipment arrives on-time or it's free! Ship with confidence when booking through our "Need it There Faster" service. International Air Shipments take an expertise not provided by all companies advertising Air Freight Services. A secured Supply Chain is a requirement per TSA rules and regulations. As your partner, AES will ensure your shipment moves to its destination to meet your delivery requirements. Air Freight, DHL or UPS services available. AES Worldwide operates as a licensed and bonded NVOCC and OTI Forwarder managing your Import and Export Ocean shipments. As a member of the Universal Freight Organization we provide you access to 330 offices in 110 countries to make your ocean shipping easy and convenient. Global Cargo Manager provides you an instant rate quote for a LCL or FCL shipment. Quotes take a matter of seconds eliminating the normal wait times when working with other forwarders. You can get Import FCL from Asia to door in the US or Export LCL / FCL to over 1,300 foreign ports with a single click of the mouse. The ability to move your full loads via Intermodal can not only save you hundreds (sometimes thousands of dollars) when compared to Over the Road service. If your current provider doesn�t give you a Clear View of your shipments, no matter the mode, it�s time to switch to Global Cargo Manager. We have spent a substantial amount of time and financial investment into visibility of your shipments. If Visibility has been the reason why your company hasn�t partnered with a Third Party Logistics company, Global Cargo Manager is here to show you our difference. Build your Logistics business utilizing Global Cargo Manager�s state of the art technology, our carrier pricing program for LTL, Intermodal, Truckload and Ocean, Air and International DHL and FedEx programs. Technology that allows you to manage by exception providing you more hours to generate new business and grow your current customer. August 22, 2013**New Service Update** "Need it There Faster" service rolls live on GCM. Guaranteed, expedited service offers enables your shipment to deliver on-time or it's Free. July 24, 2013GCM now notifies shippers when a carrier reweighs a shipment. This is important information to know while the shipment is still in-transit. July 16, 2013Inc 5000 announced today that AES Logistics has been named to the top 5000 fastest growing companies list for 2013. This is the 3rd year in a row for AES Logistics! June 25, 2013Utilizing a database of over 75,000, GCM released the LTL Carrier On-Time statistics for users to compare with each rate quote. Knowing which carrier performs better in each lane enables assists in making an informed decision on important shipments. June 21, 2013AES Logistics has been selected by Seattle Business Magazine as a Top 100 Companies in the State of Washington. Congratulations to all our team members for this tremendous award proving that your hard work and effort moves AES Forward - Everyday. May 30, 2013New Non-Login tracking link added to the home page. Track by Carrier Pro or Shipment ID. May 22, 2013We welcome Spee Dee Delivery, Davis Cartage, and Custom Freight into our carrier program guide. May 6, 2013 Global Cargo Manager announces integration agreement with Aljex Software that provides Aljex customers with instant door to door Intermodal rates and services. The ability to present your customers with an on-line rate search tool has become the minimum requirement in today�s technology age. Integration with Legacy systems takes specialized programming. Global Cargo Manager provides this ability. Need Integration in your TMS system, our API provides you access to all services (LTL, Rail, and Import/Export Ocean for FCL and LCL). Quote, book and track your shipments. 13 Straight years of revenue growth says it all about AES Logistics� ability to remain in the forefront of the Logistics Industry. During these 18 years AES has been enshrined into the Puget Sound Business Journal�s Fastest Growing Privately Held Company Hall of Fame as well as multiple times on the INC 5000 list. In 2006 AES joined UFO (Universal Freight Organization) enabling us to provide local agents in 110 countries. This provides you with local representation on the ground where your vendors or customers are.